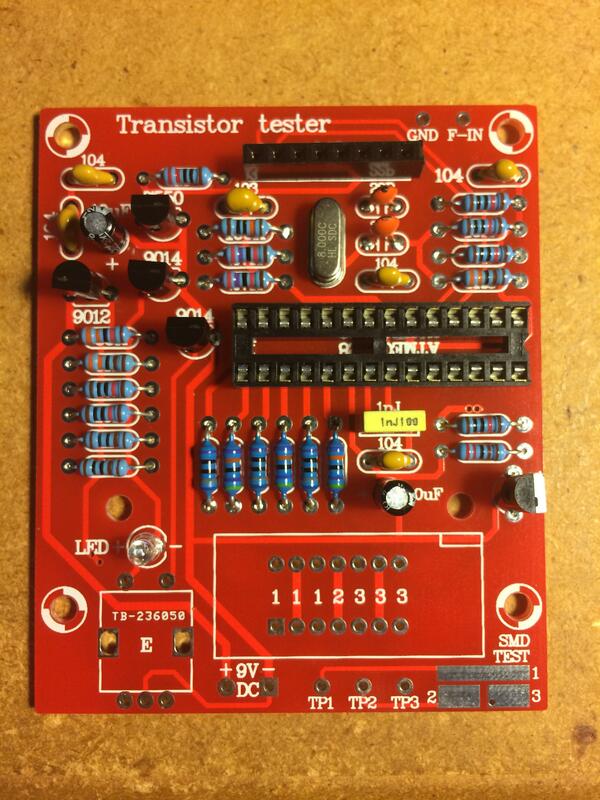 The M12864 Transistor Tester is a valuable tool for the DIY workbench. It will identify components and their values, taking out the guesswork if you come across an old part or a component in a junkbox. 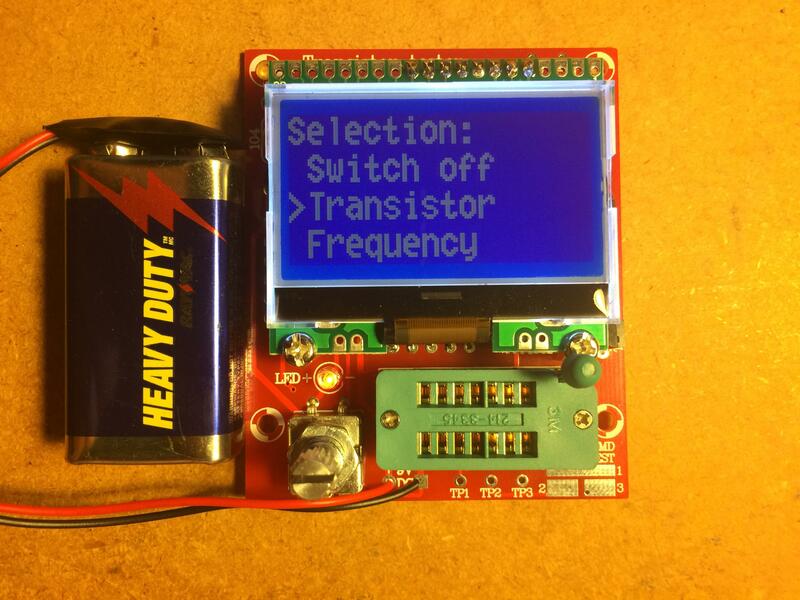 Because it runs on 9V, it can be take to swapmeets and hamfests to help test parts and identify operating values. 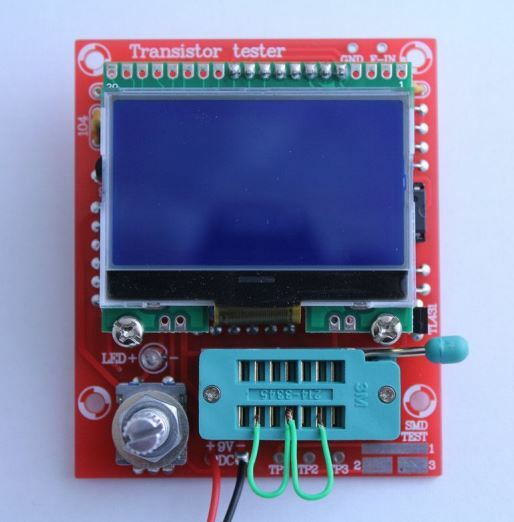 I bought the M8 Transistor Tester kit online after hearing a review by Joe Eisenberg, K0NEB, from the Huntsville Hamfest. You can get one from Amazon or Banggood for $20-25. I wouldn't say it's the absolute easiest kit for a beginner (that could well be the cheap clock kit), but it is one of the most useful and it is not all that challenging. 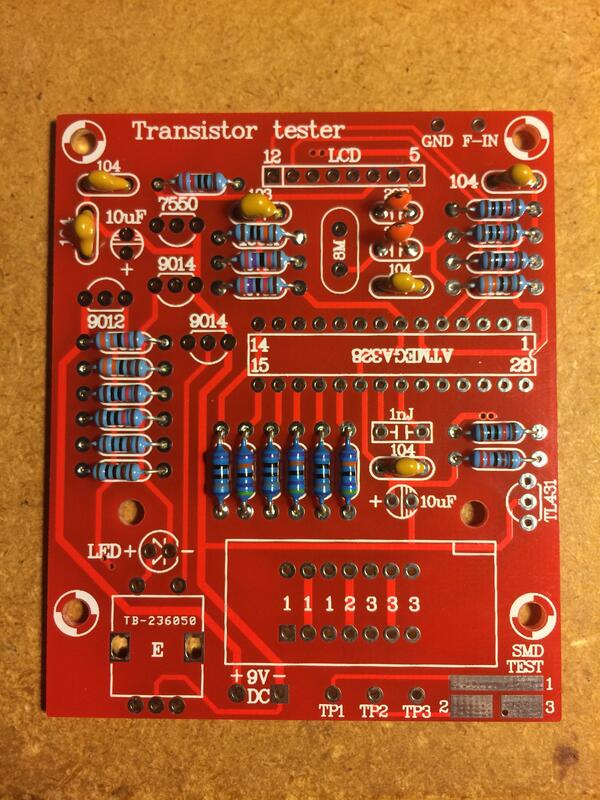 It is a good starting point for anyone with some experience with soldering - and perhaps those without experience. The most challenging part was understanding the poorly translated instructions for the self test. The original instructions completely skipped over the placement of the parts (as well as any inventory of parts). 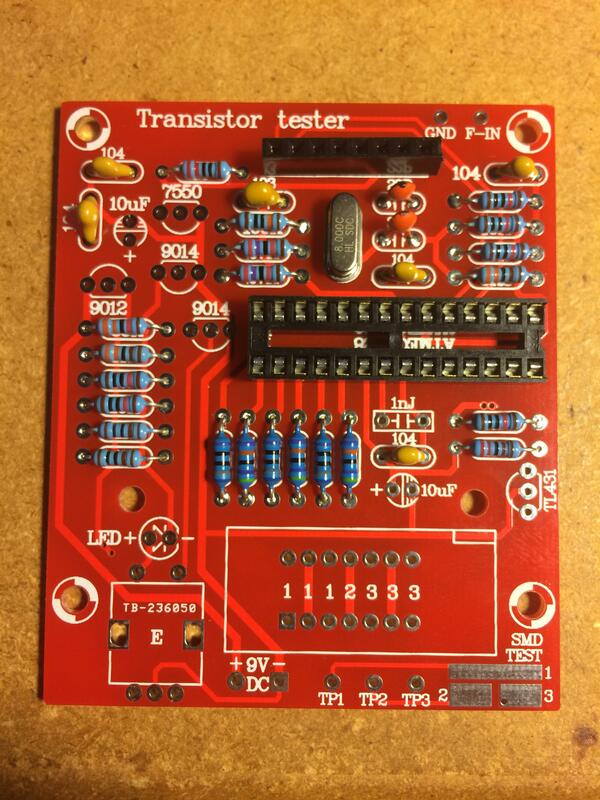 On this page, I hope to clarify the steps (thereby minimixing the challenge) and give you a logical order to install the components on the board. I usually assemble kits beginning with the lowest profile parts and work my way up to parts that stand tallest off the PCB. Below is the order I used. 1. 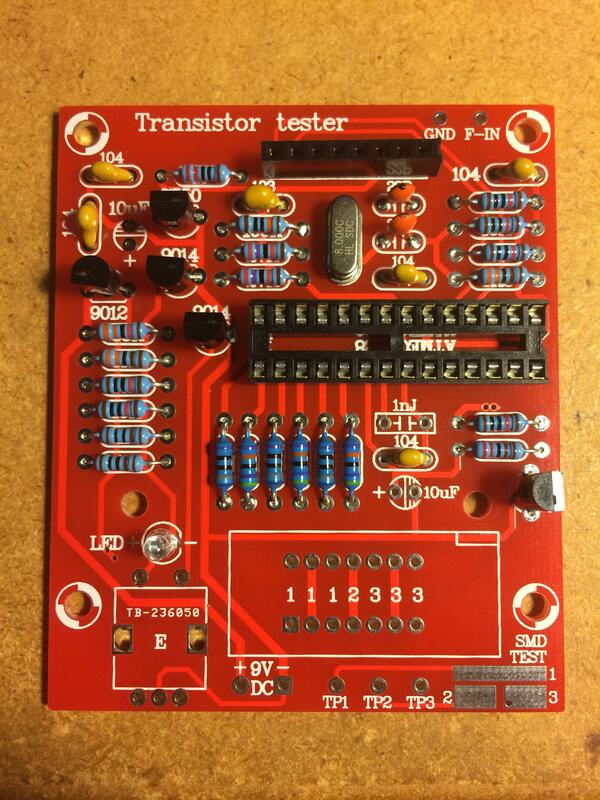 Identify and place the resistors. I measured each resistor with a multimeter be sure of each value. I then labeled the paper tape on the resistors with their value. 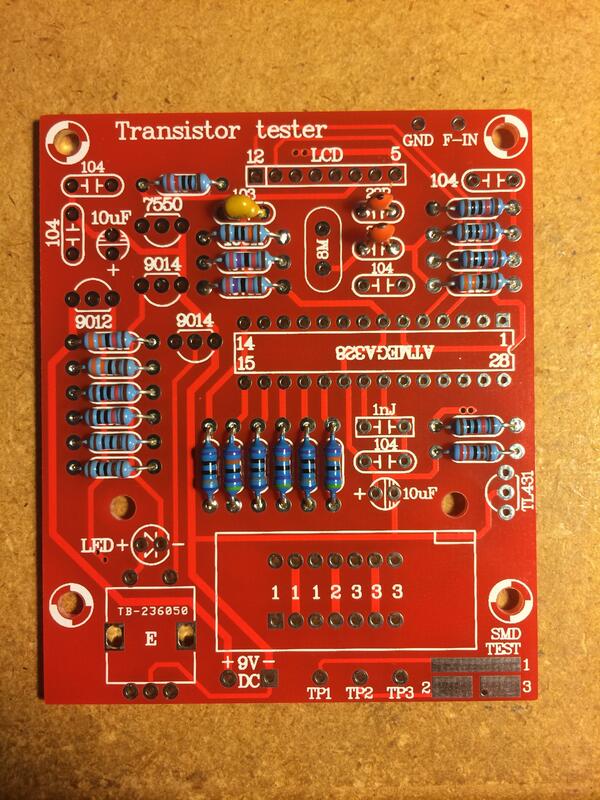 This made placing the resistors in the correct holes much easier. Reserve 2 long resistor leads for later use. 2. Place the ceramic 22pF caps in their holes. Spread the leads and solder in place. Then pick out the .01uF (103) film capacitor. Be careful, they're all labeled 104 except one - that's the one you want. 3. Place the remaining film .1uF (104) capacitors in their holes. 4. Insert the crystal in it's location and solder in place. Be sure the crystal is resting flush on the board. 5. Insert the DIP IC socket. 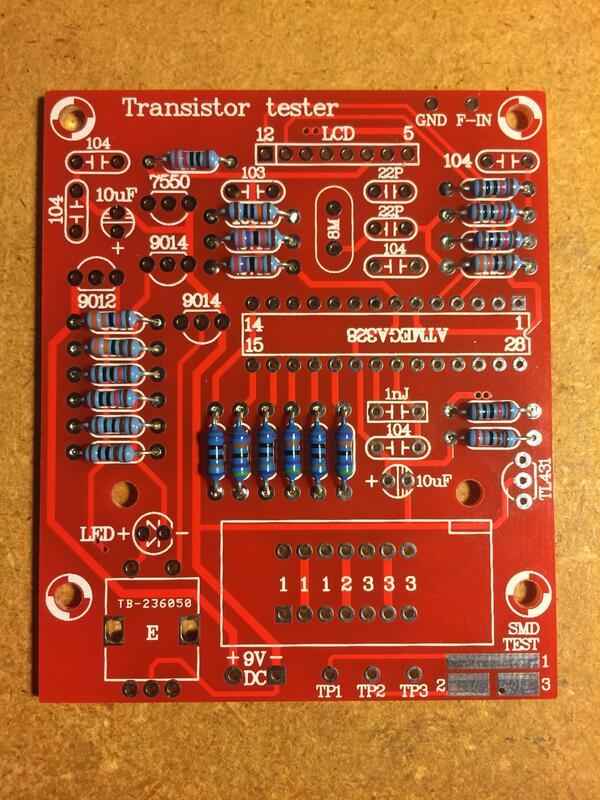 Turn the board over and bend pin 1 and pin 15 over to hold the socket in place while you solder. Be sure the socket is flush against the board and oriented as shown on the circuit board. Insert the 8 pin LCD socket and solder in place. Again, be careful the pin is flush against the board and oriented as straight as possible. 6. Insert the LED with the long lead toward the +. Place the transistors in their respective locations. Pare special attention to the writing on each transistor. 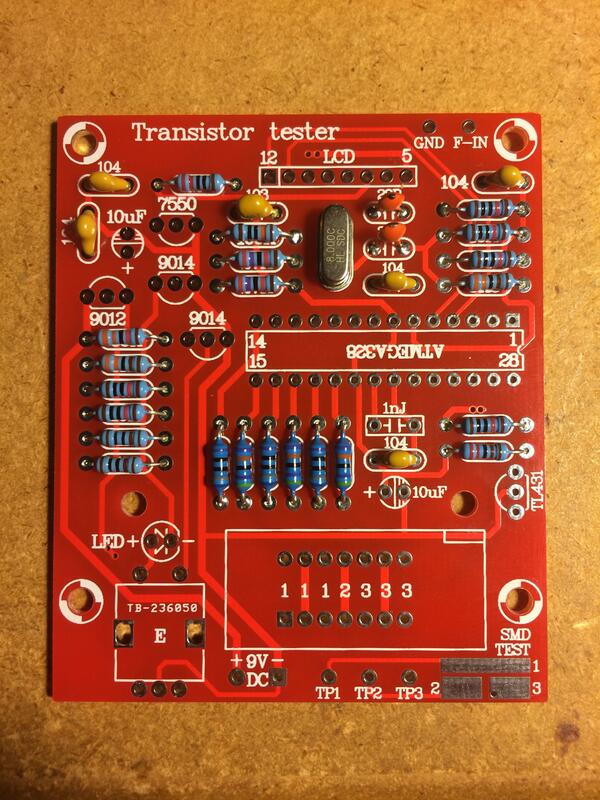 Transistors should be about 1/8" above the circuit board. Do not force them any lower or you may damage them. 7. Insert the two 10uF elecrolytic capacitors, again with the long lead toward the +. Then insert the yellow 1nJ capacitor in it's holes. 8. 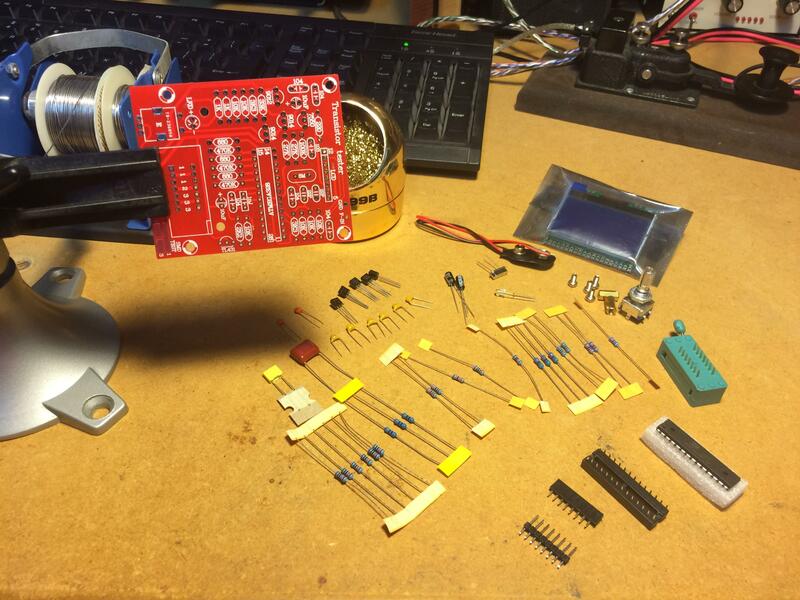 Install the ZIF socket with the handle toward the edge of the board. 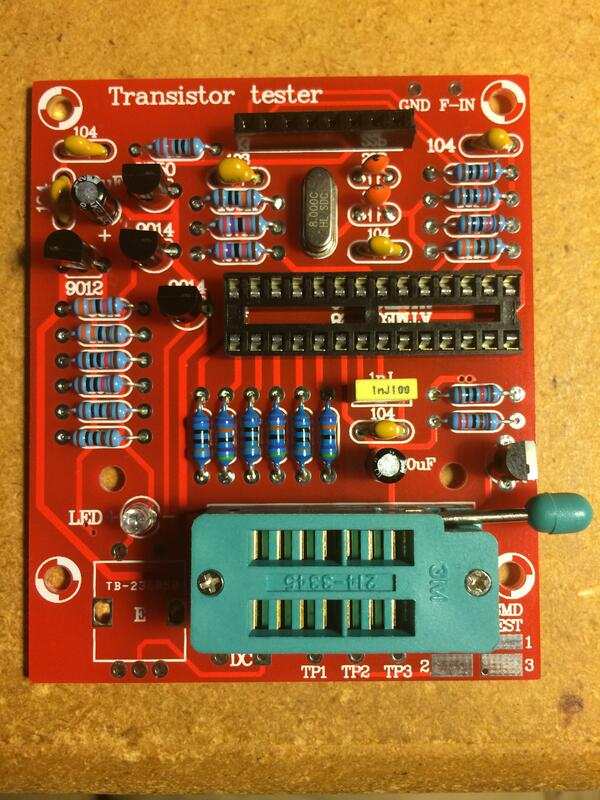 Be sure the ZIF socket is flush against the board before soldering all the pins in place. 9. Install the rotary encoder knob. Be careful that each pin is in its hole. You may need to bend the two large lugs to get them to align with their holes. 10. Insert and solder the 9V battery lead and connect a 9V battery. 11. 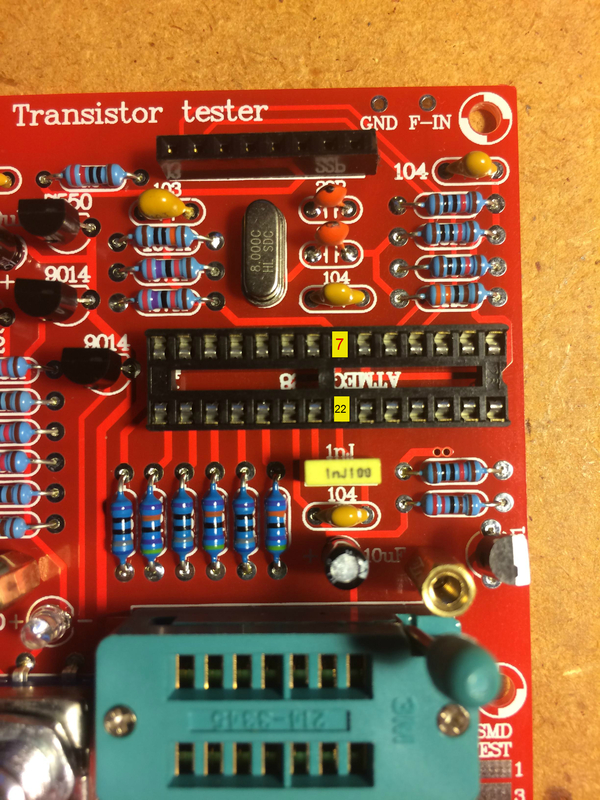 With a multimeter set to read voltage, put the leads on pins 7 and 22 of the DIP socket. 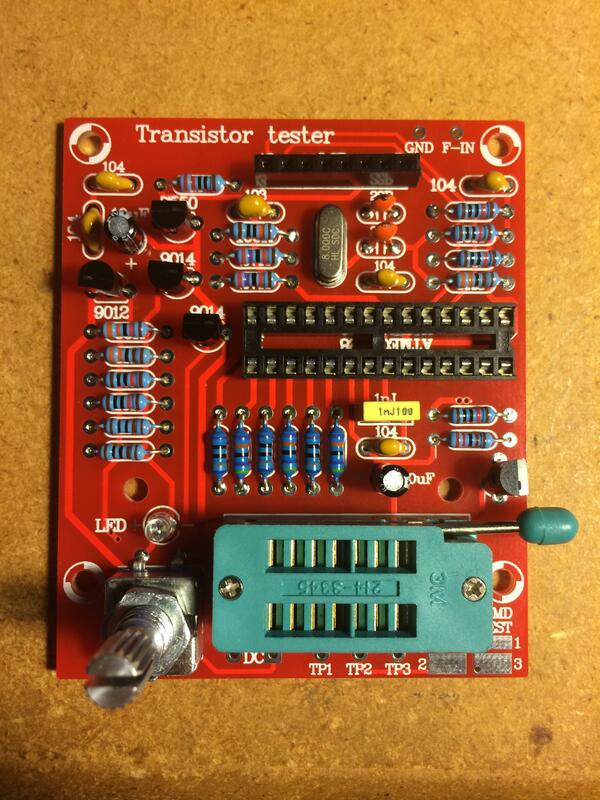 (see picture) Press and hold the rotary encoder to power on and ensure your voltmeter is showing ~5VDC. If you do not get 5VDC, be sure you're on pins 7 and 22 then double check each component is in the correct place and has a good solder connection. 12. Once you have measured 5V across pins 7 and 22, disconnect the power then remove the AVR from the protective foam and insert the AVR into the socket. Pay special attention to the orientation of the AVR microcontroller. Pin 1 is toward the outside of the circuit board. 13. 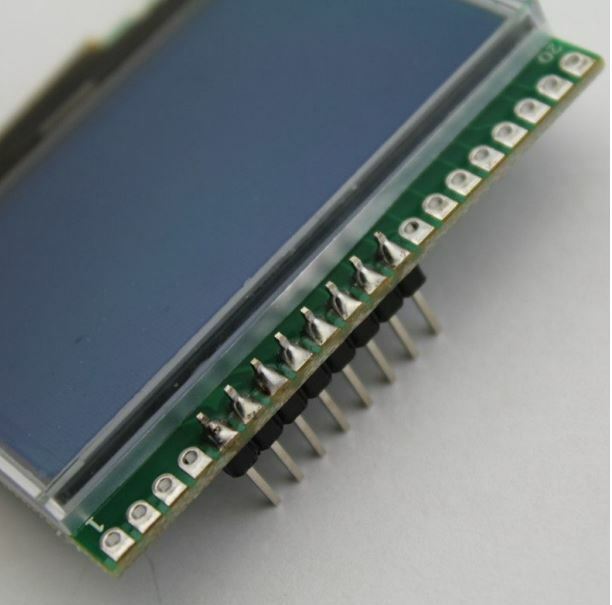 Install the hex nut standoffs on the top of the PCB with 2 screws on the back of the PCB. These will serve as standoffs for the LCD screen. 14. 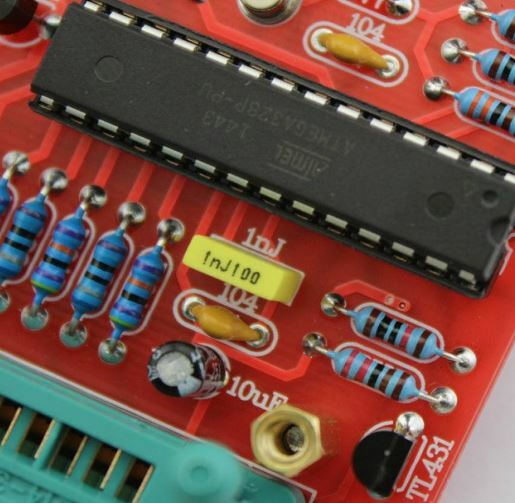 Insert the 8 pin header into the socket on the top edge of the board. 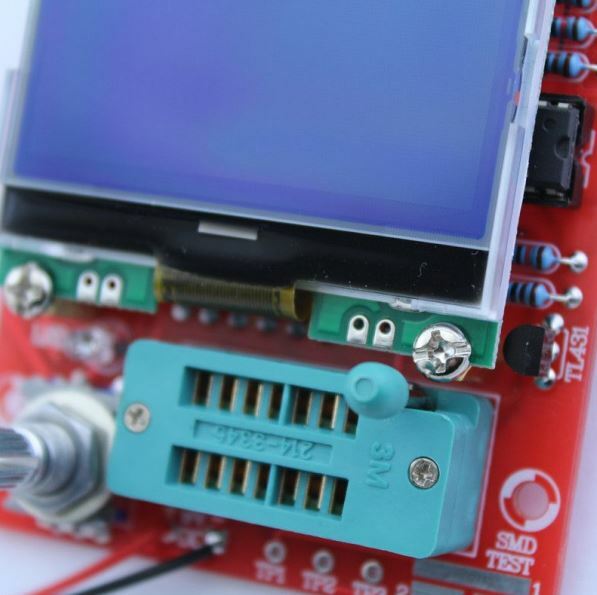 Insert the LCD into pins 5-12. The notced on the bottom of the LCD will line up with the standoffs. Solder pins 5-12 on the LCD then install and tighten the stand off screws. 15. You have finished construction! You are now ready for the "self test" section below. 1. With the clipped resistor leads from Step 1 in the assembly (or two pieces of wire from your parts/junk box), put a wire in from position 1 and 2 and 2 and 3 in the ZIF socket. 2. 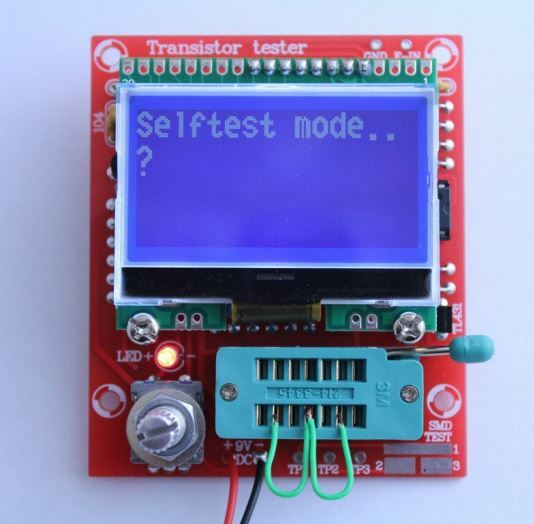 Press the encoder knob once to turn on the tester and begin the self test. By shorting pins 1, 2 and 3 together the AVR microcontroller is able to determine what 0 resistance, capacitance and inductance is (effectively). 3. 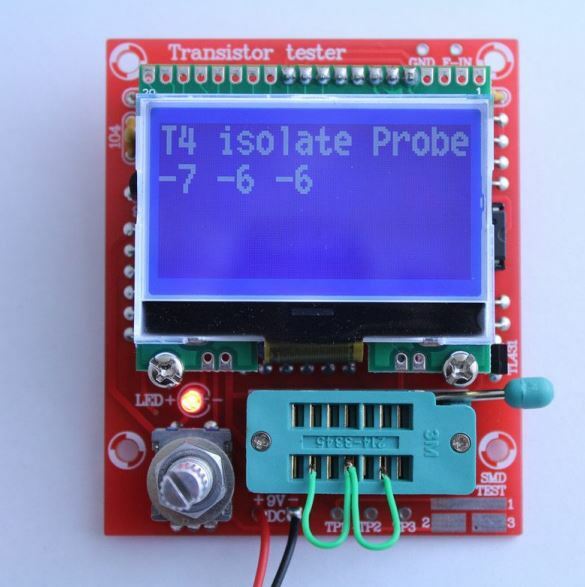 When the device has callibrated this step it will say "isolate Probe" on the screen, this should say "remove wires from 1, 2 and 3". Simply open the ZIF socket and remove the shorting wires. 4. You should then insert a capcitor of any value from .1uF to 20uF across pins 1 and 3. (My kit came with a film capacitor for this purpose.) This gives the AVR a reference capacitance for additional measurements.